This is the story of Perkin Warbeck–who was known as the second pretender to the throne of England during the reign of Henry VII–and his wife, Catherine Gordon, the daughter of a respected Scottish noble. Richard (as he was called by his wife and the monarchs of Europe) and Catherine had a promising future–love, a child and another on the way, and the assurances of support from many royal personages on his attempt to take the crown and proclaim himself King Richard IV of England. Unfortunately, things didn’t go as planned and the couple ended as prisoners to ‘The Tudor’. Henry VII, as depicted here, is a miserly, uninspiring monarch nearly controlled by the overbearing Queen Mother (Margaret Beaufort), but there is also something in him that I’ve not seen in any other portrayals: a man with a slight conscience, who also covets the woman his rival holds very dear. In fact, he was known to have called her his ‘black swan’. With her beloved husband and child held captive by this most devious king, Catherine must play her cards well to survive among those she knows are enemies. I learned very quickly that this read has Yorkist leanings. I don’t mind seeing different political points of view, however I believe this one to be unfairly balanced. Both Henry VII and Henry VIII are evil incarnate (with a slight exception of the former’s ‘softness’ for Catherine), while Richard III and other Yorkist royals seem to be favorably described. I, myself, am undecided on the Lancaster vs. York debate, but I don’t feel either side is completely innocent of wrongdoing. After reading Philippa Gregory’s The Red Queen and Susan Higginbotham’s The Queen of Last Hopes and understanding the background of the claim, I have a slight preference for the red rose. That being said, I do enjoy reading books of both leanings, yet when I see certain characters completely depraved, I know it’s not entirely fair. My favorite character is Cecily, sister of Queen Elizabeth. She’s one of the few friends Catherine finds in the Tudor court and her bubbly personality breaks the monotony of Catherine’s sheltered life. I can’t say any of the other characters made an impression, which is unfortunate with so many weaving in and out of the story. I enjoyed the elegant writing style, which was appropriate for the era and not overly antiquated. The timeline and accuracy of historical events are precise and neatly explained, as pertaining to Catherine’s life. 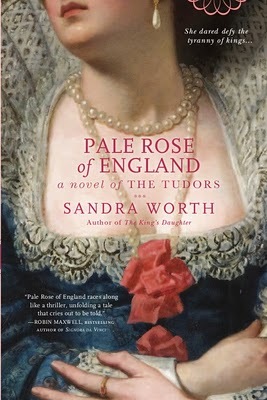 This is a pleasant read and a nice addition to Wars of the Roses and early Tudor fiction.